About History Appearance Personality Adopting a Bengal Colours Are Bengals talkative? 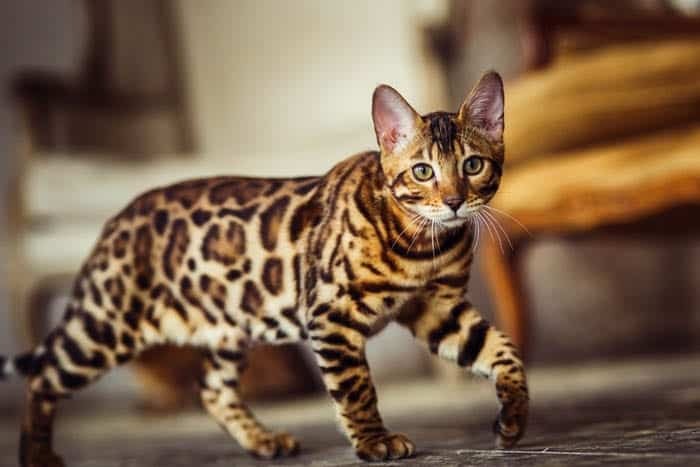 Originally christened the Leopardette, the stunning Bengal cat is a hybridisation of domestic cats and Asian Leopard Cats (a small wild cat). The coat comes in two patterns, spotted or marbled. Bengals are active, talkative, playful and many have a love of water. 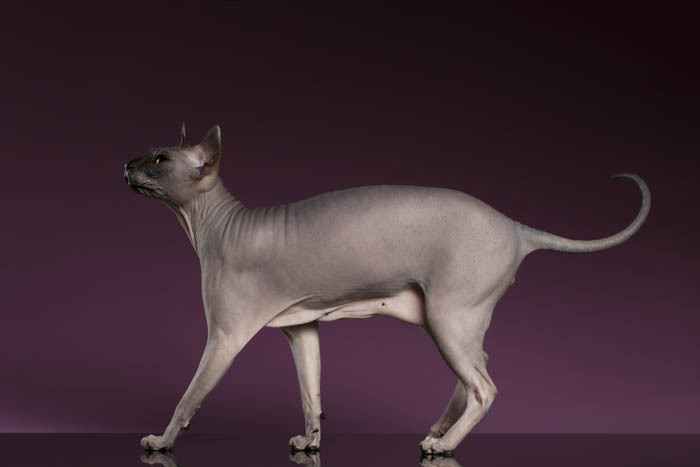 They get along well with pets and children, but pet owners must be aware this is a very high-energy breed of cat. In 1963 Jean Sudgen of Yuma, Arizona purchased a female Asian Leopard cat (named Malaysia) from a pet store. Believing the cat to be lonely, she put a black domestic cat in her cage for company. The animals mated and produced two kittens, a male and a female called KinKin. Sadly, the male was fatally mauled by Malaysia, but KinKin was safely removed and raised by a Himalayan queen. Jean contacted Cornell University who predicted that KinKin would be sterile. This proved to be incorrect when KinKin was mated back to her father and delivered two kittens. A black female and a spotted male. Due to the sudden death of her husband this project was abandoned. In 1980 Jean contacted geneticist Dr Willard Centerwall who was working on a breeding programme which involved crossing Leopard Cats with domestic cats. This was part of a study of Feline Leukaemia. Jean Sudgen (now living in California and remarried as Jean Mill) obtained several F1 (the F stands for Filial) hybrids from this programme. While in India in 1982 Jean and her husband came across a tailless feral domestic male with markings similar to that of the leopard. He had been living in a rhino enclosure at Delhi zoo. Jean imported this cat (Millwood Tory of Delhi) back to the United States, and he was mated with the female hybrids. 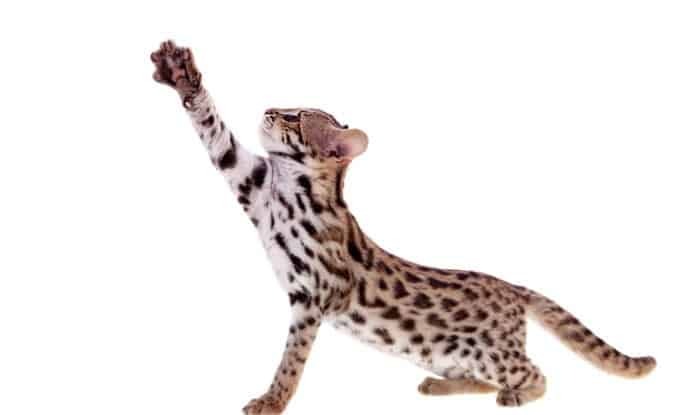 Other domestic breeds were used in the breeding programme including Ocicats, Egyptian Maus, Abyssinians, Bombays and British Shorthairs. The Bengal cat was recognised by The International Cat Association as a new breed in 1986 and awarded championship status in 1991. The Bengal is a wild-looking cat with the sweet nature of a domestic cat. They are a medium to large breed weighing between 5 – 7 kg (11 – 15 lbs), the males are larger than females. They have a long, well-muscled body with strong bones. Its hind legs are slightly longer than the front legs; the feet are large and oval. The head is a broad modified wedge, which is longer than wide, with small ears and pronounced whisker pads. Eyes are black rimmed, and almond-shaped they can range in colour from golden to deep green. The tail is thick, tapering to a black tip. The coat is thick, beautifully sleek and soft feels more like a pelt than fur. The belly is whited and should also have spots. The Bengal comes in two patterns, spotted and marbled. Spotted: The spots should be dark and clear, with a crisp outline and a good contrast to the background colour. The spots can be either solid, arrow-shaped or as rosettes. Spots should be found on the body, including the belly, the legs will have spots and or stripes. Spots should be random or horizontal in alignment. 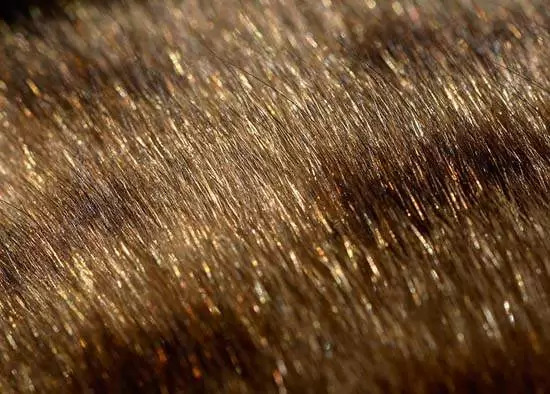 Glitter: Bengal cats carry the glitter gene, believed to have been introduced by Millwood Tory of Delhi, the kitten Jean Mill imported from India. It is a recessive gene and is highly desirable in the Bengal. Traditional tabby colours: Brown potted and Brown Marbled. Sepia tabby colours: Seal Sepia Spotted Tabby and Seal Sepia Marbled Tabby. Mink colours: Seal Mink Spotted Tabby and Seal Mink Marbled Tabby. Silver tabby colours: Silver Spotted Tabby and Silver Marbled Tabby. Bengals are intelligent, active, curious and energetic cats. Due to their Asian Leopard Cat ancestry, many Bengals have a love of water and will drink from and play with the water from a dripping tap. They are quite happy to play in 1-2 inches of water in the bath if allowed (never force this on your cat). Bengals are agile; love to climb should be provided with places to climb and watch the world from a height. This is a high-energy breed and Bengals are known to enjoy high places. Many Bengal owners have trained their cat to walk on a harness so that they can enjoy the great outdoors in safety. It is always best to start harness training when your Bengal is a kitten and recognise that not all Bengals will take to this…although many do. 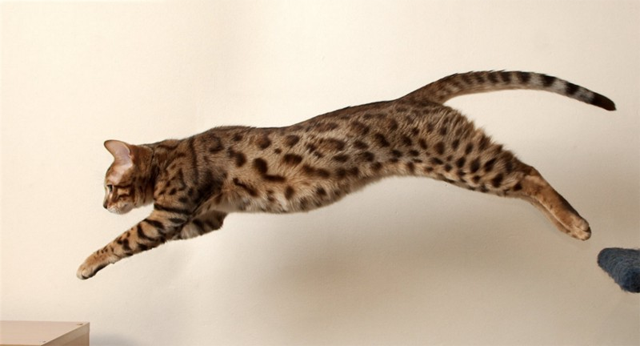 Bengal cats love to play, well into adulthood. Fetch, stalking and pouncing on a wand toy, chasing toy mice are some of their favourite games. Their intelligence means they pick up new tricks quickly. If you are out a lot of the time, we recommend a companion for company. Some Bengals can become depressed or destructive if left alone for long periods. Words used to describe Bengals include: active, intelligent, playful, willful, energetic. Bengals and children are both active, and as such, can become great friends with each other. Where possible, look for a kitten who has been raised around children. If you have young children, always supervise them with cats, especially kittens, toddlers are sometimes stronger than they realise and a 12-16 week old kitten is still quite small and fragile. 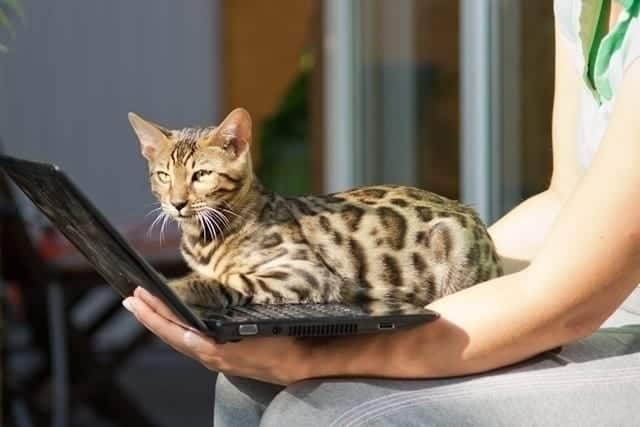 Purchase your Bengal from a registered breeder and always ask who they are registered with and check with the registering body to ensure they are listed. Ask the breeder for references from other people who have purchased a kitten from the breeders, if possible. Get everything in writing. Try to meet the Bengal’s parents as well as the Bengal you hope to purchase. This will give you a good idea of the personality and friendliness of the kitten. I always prefer to adopt cats who have been raised underfoot, meaning they grew up in the home around other cats and people. Ask the breeder about health guarantees and what genetic and health testing has been performed on the kitten and his parents. Kittens should be at least 12 weeks of age before they are allowed to leave the breeder. He should have been regularly wormed, had his vaccinations, and the majority of breeders will have microchipped and desexed the kitten efore him going to his new home. Bengal cats should be at least fourth generation F4 from their wild ancestors. Some breeds of cat, including the Bengal, can have a primordial pouch. This is a loose flap of skin on the belly, just in front of the hind legs. Many pet owners mistake the primordial pouch for fat, but this is not the case. It is not entirely known what purpose the primordial pouch served, but it is thought it may be there to protect the cat’s belly (which of course houses the vulnerable internal organs) area during a fight. I don’t have a photo of one on a Bengal, but here is an Abyssinian with a primordial pouch. You can also see one on the Asian Leopard Cat at the top of the page. 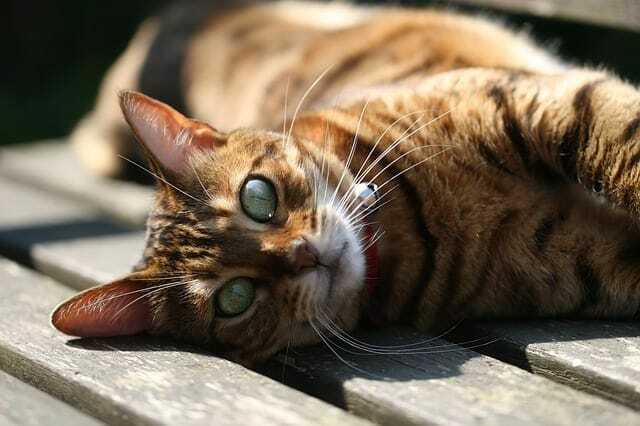 Bengal cats are generally healthy but can be prone to developing the following medical conditions. There are genetic tests for some of the conditions above; others may be diagnosed with tests. Bengals are shorthaired, so a quick 10-minute groom once a week is more than enough to maintain their coat. As with the majority of shorthaired cats, Bengals don’t need a bath. They are intelligent and like to be active, so are suited for homes who can give them plenty of attention and play time. They are not a cat who likes to sleep on your lap 23 hours a day. Caring for your Bengal’s teeth is essential for good health. Clean with a pet toothbrush and paste (never use human toothpaste on cats), or you can give them human grade chunks of raw steak or chicken necks to chew. 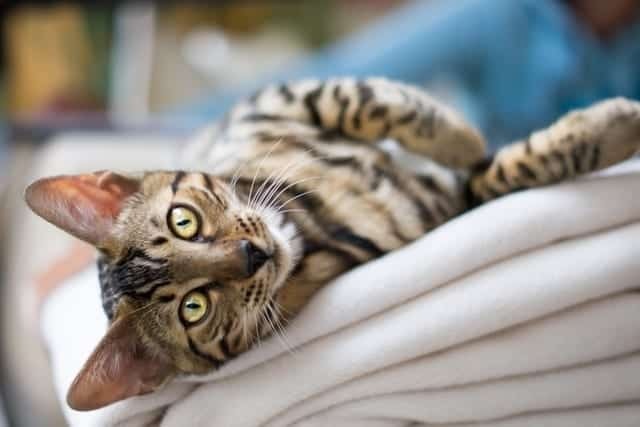 As with all cats, Bengals should see a veterinarian once a year for a health check-up, your veterinarian can discuss with you vaccination recommendations during the consult. Keep the toilet seat down at all times to prevent your Bengal trying to take a dip in the loo. 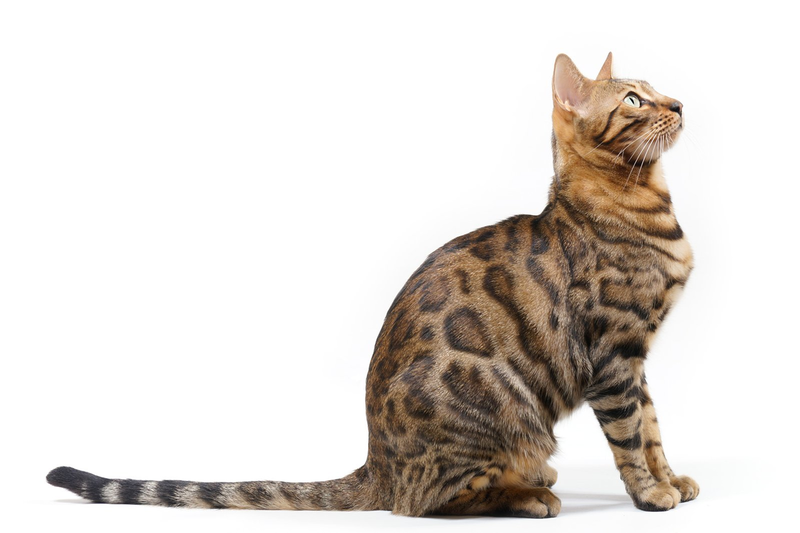 Is the Bengal cat hypoallergenic? 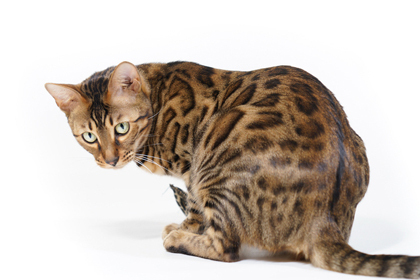 Some claim that the Bengal is hypoallergenic, but no breed is truly hypoallergenic. 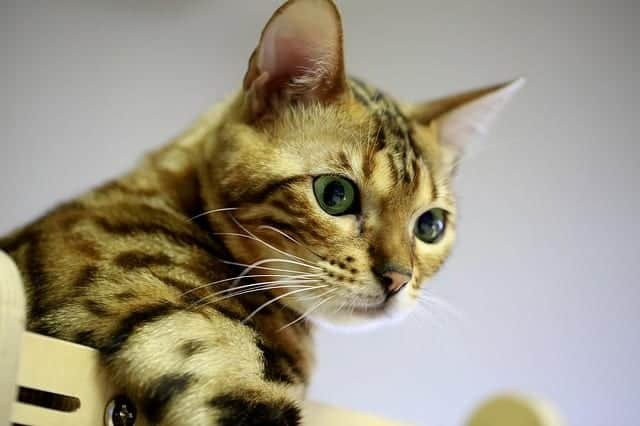 Bengals may be better tolerated by people with allergies as they tend to shed less than other cat breeds, meaning there will be less hair and dander in the environment. Speak to the breeder if you are considering adopting a Bengal cat. Always go to their home to meet the cats and see how you cope with them. 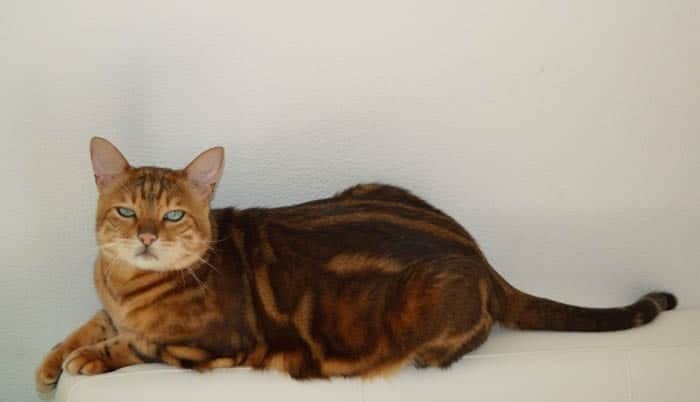 Yes, Bengals can be very talkative and have an array of distinctive sounds they can make from chirping to howling and every sound in between. See the clip below of some talkative Bengals.